Best-in-Class turning radius Based on WardsAuto Large Van segmentation. Best-in-Class standard ceiling height Based on WardsAuto Large Van segmentation. 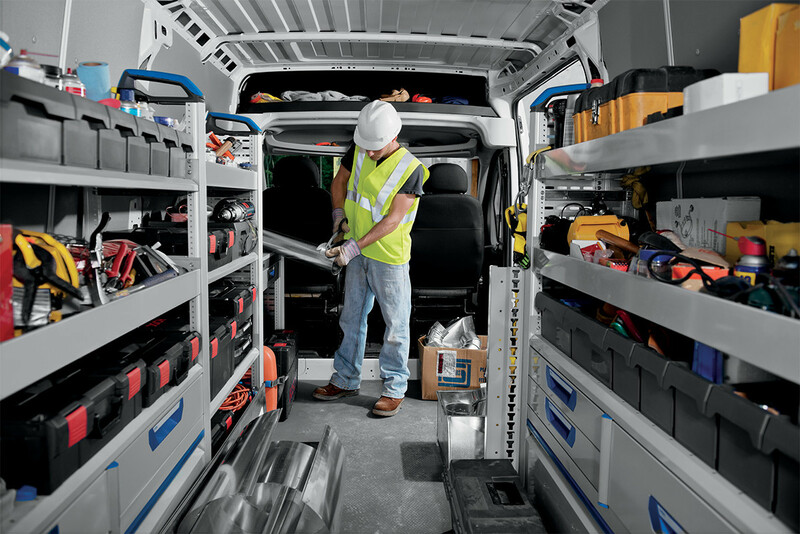 The ProMaster work van’s interior is not only spacious, it’s versatile and upfit-friendly. 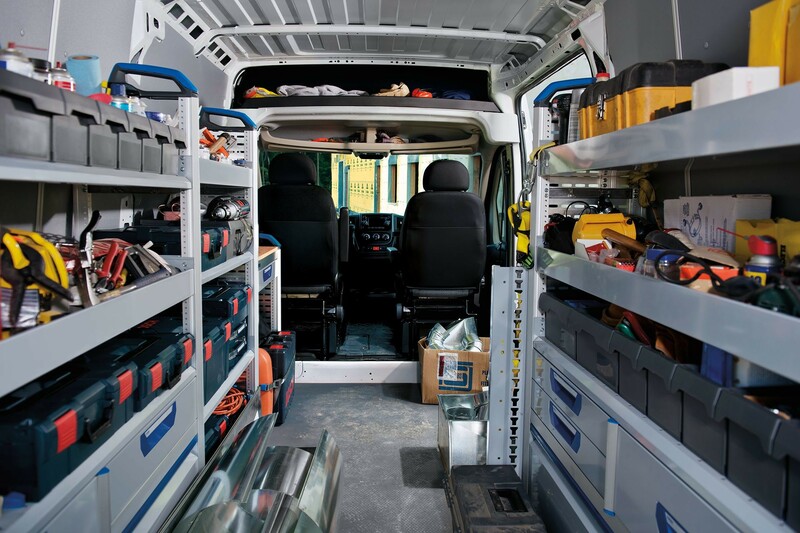 The ProMaster work van’s interior is not only spacious, it’s versatile and upfit-friendly. 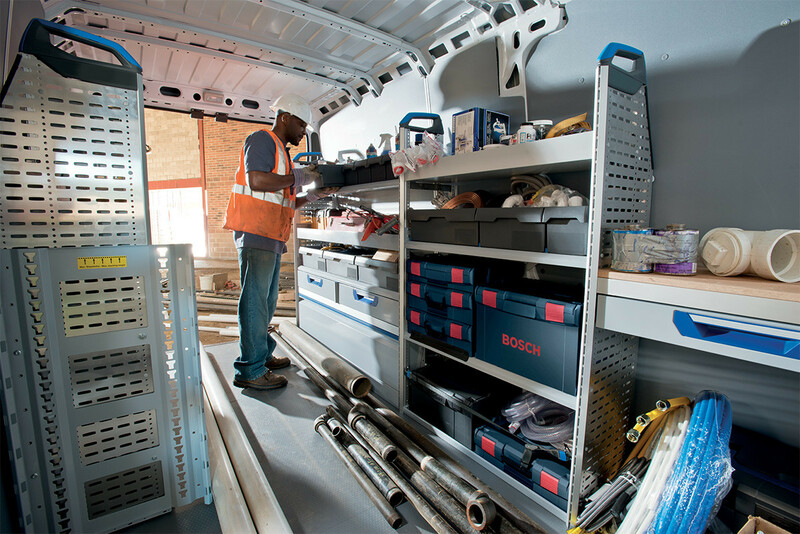 The cavernous cargo area of up to 13,110 L (463 cu ft) features walls that are nearly 90° to the flat-load cargo area - perfect for seamless shelf integration and efficient load configurations. The flat-load cargo area is even more versatile considering it comes with Best-in-Class cargo width between the wheel wells Based on WardsAuto Large Van segmentation. of 1,422 mm (56 inches). 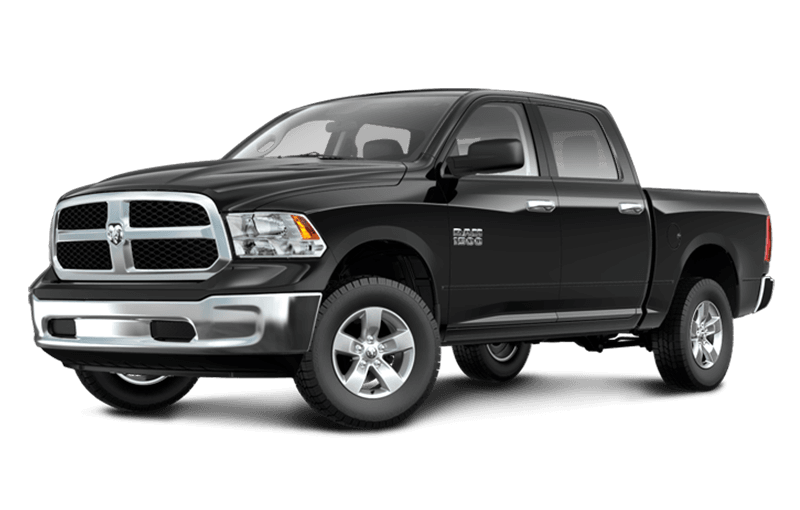 Check out the Ram Commercial Upfit Centre. The Ram ProMaster® has 2 roof heights to choose from - tall and taller. 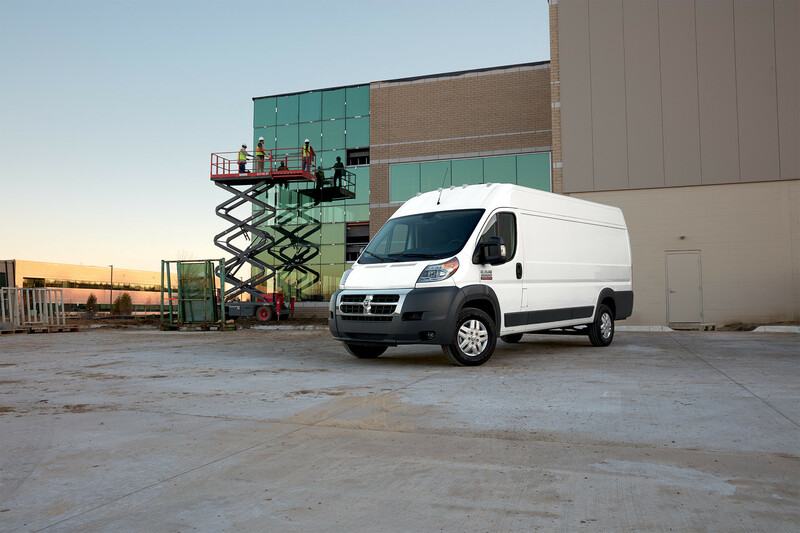 The Ram ProMaster® has 2 roof heights to choose from - tall and taller. The Best-in-Class standard ceiling height Based on WardsAuto Large Van segmentation. of 1,651 mm (65 inches), means moving around the cargo area is as comfortable as it gets. For even more height, and more cargo space and versatility, choose the high-roof model with an incredible ceiling height of 1,930 mm (76 inches) - 6' 4" tall? No problem! 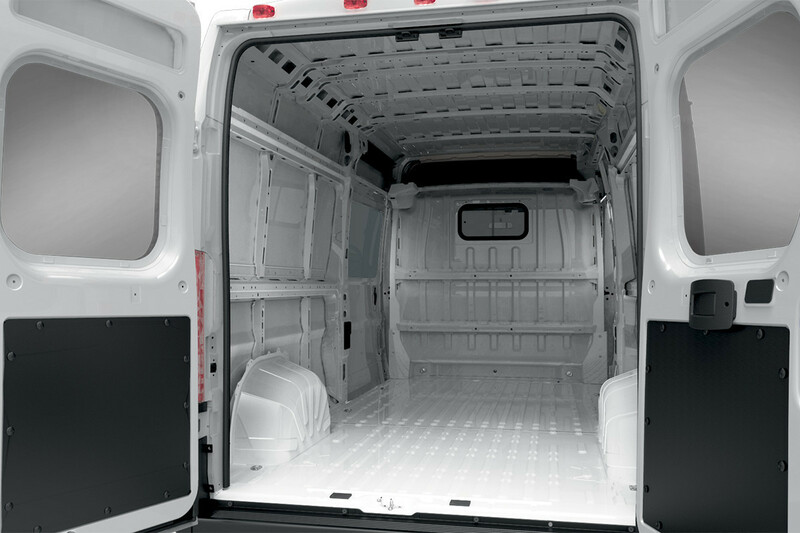 The cavernous cargo area inside the Ram ProMaster® is fully configurable. 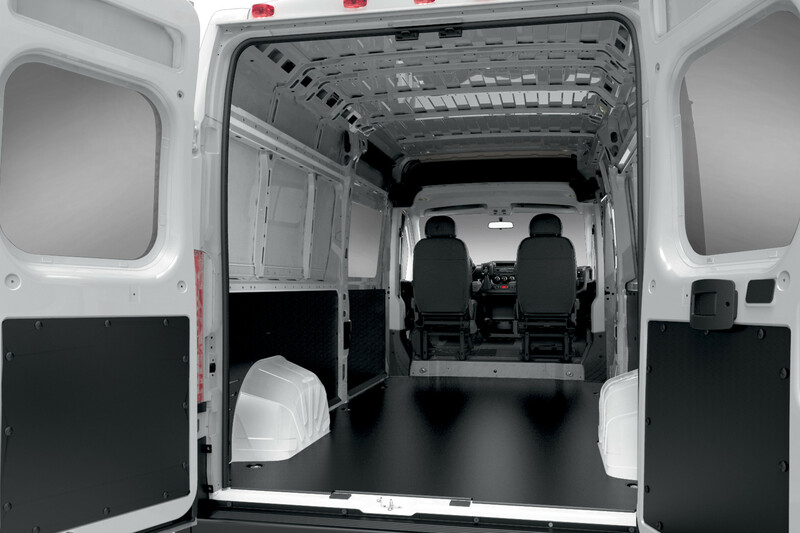 The cavernous cargo area inside the Ram ProMaster® is fully configurable. 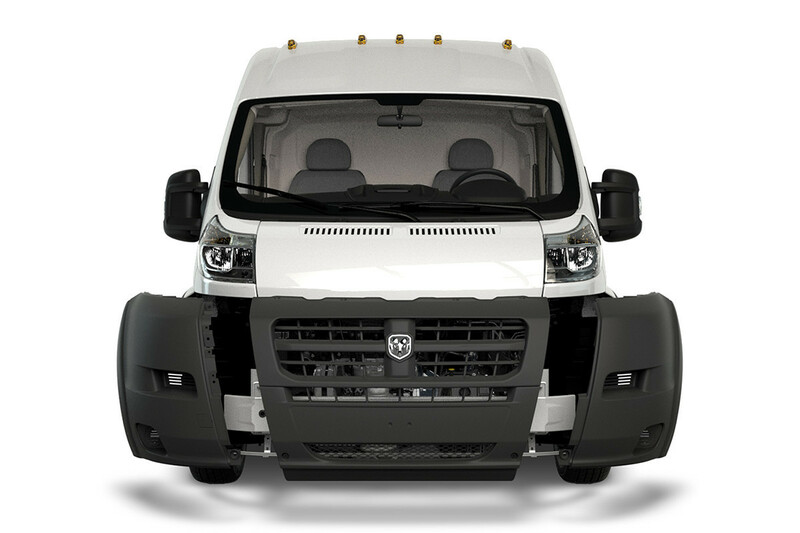 Your personalization begins with a choice of 3 weight classes, windowed or solid walls, van or chassis cab or cutaway. 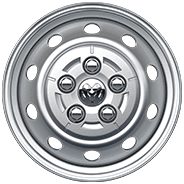 Every van comes standard with Best-in-Class width between the wheel wells, Based on WardsAuto Large Van segmentation. 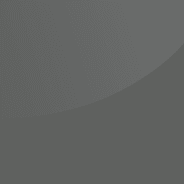 the lowest step-in height in its class, Based on WardsAuto Large Van segmentation. near-vertical walls - and a load secure system with 17 floor-tie-down loops and 5 sidewall loops. 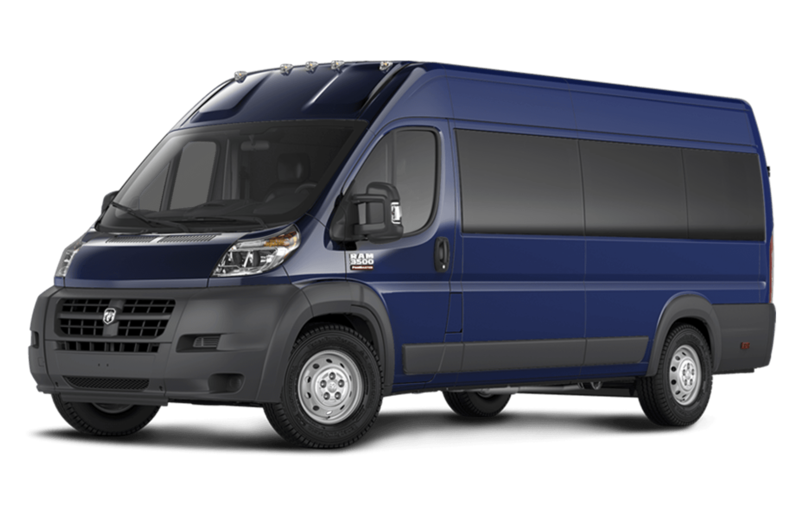 The ProMaster configuration options are virtually endless. The ProMaster configuration options are virtually endless. It begins with a choice of 3 wheelbases, 4 body lengths, 2 roof heights and 3 Gross Vehicle Weight Ratings. In addition to the standard seats, choose from 3 available seating configurations: driver's bucket with suspension, driver and passenger buckets with swivel, and 3-occupant bench seating. 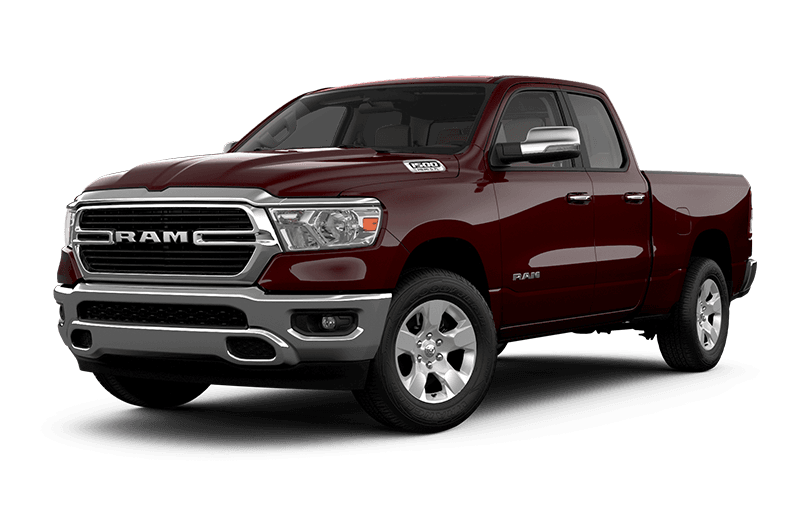 There are so many options to choose from that it's easy to configure the business vehicle perfect for you. 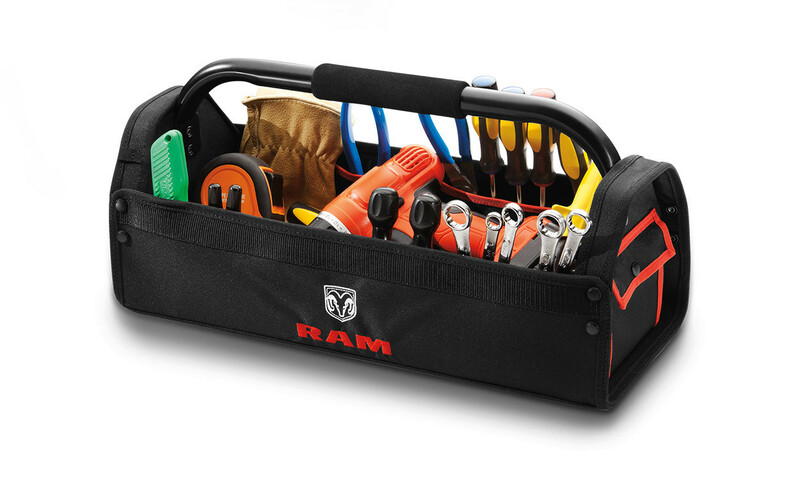 Ask your dealer about the Ram Commercial Upfit Centre. The standard Uconnect® 3 multimedia centre helps keeps you safely connected. The standard Uconnect® 3 multimedia centre helps keep you safely connected. With its 5-inch touchscreen and hands-free communication Driving while distracted can result in loss of vehicle control. Only use mobile phones and other devices, even with voice commands, when it is safe to do so. Voice commands of phone require a Bluetooth compatible phone. 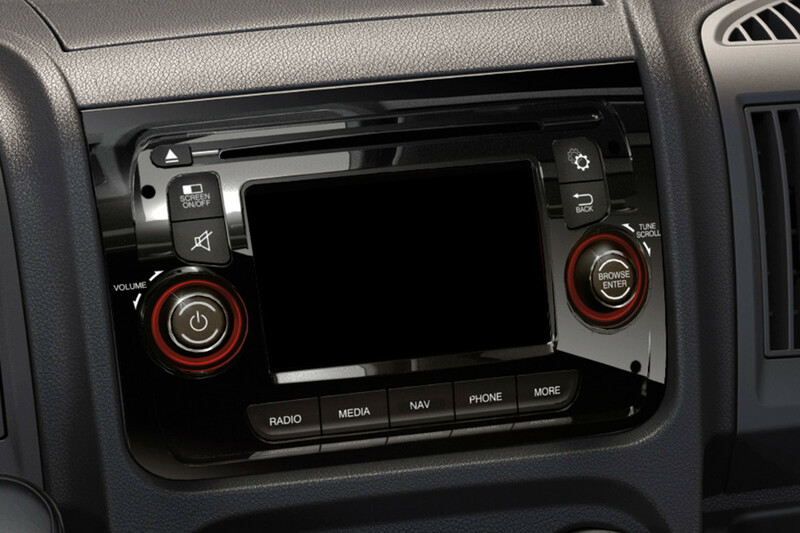 with Bluetooth® streaming audio, the Uconnect multimedia centre technology allows you to operate your radio system and connected devices by voice command, allowing you to keep your eyes ahead and your hands on the wheel. The Uconnect 3 system also keeps you entertained with a simple-to-operate media hub with an auxiliary input jack and USB port for your devices. Available SiriusXM satellite radio Requires SiriusXM radio subscriptions governed by SIRIUS terms and conditions available at siriusxm.ca. keeps you connected to more than 120 channels. Available SiriusXM satellite radio Requires SiriusXM radio subscriptions governed by SIRIUS terms and conditions available at siriusxm.ca. keeps you connected to more than 120 channels. 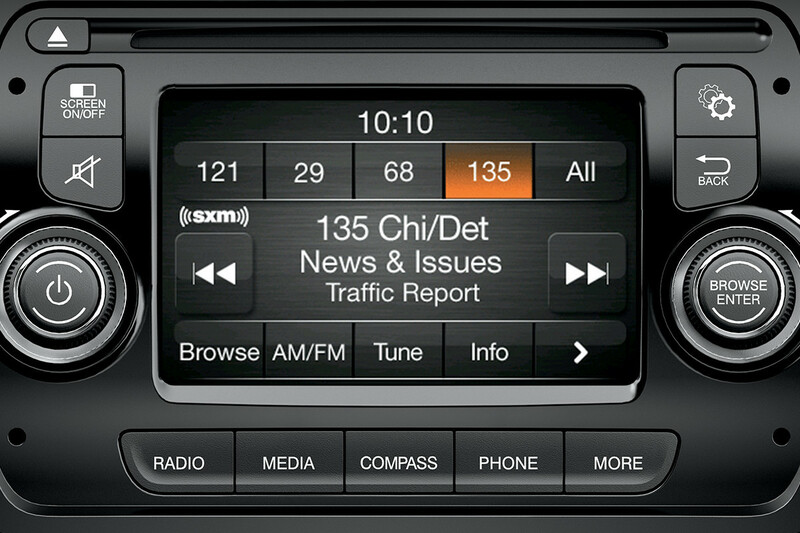 Music, sports, news - whatever your interest might be, SiriusXM satellite radio keeps you connected to your channels virtually anywhere in North America your business might take you. There is a huge variety of channels including a tremendous choice of Canadian content and a 1-year subscription is included. Knowing where you are and exactly where you're going can be a real business advantage. 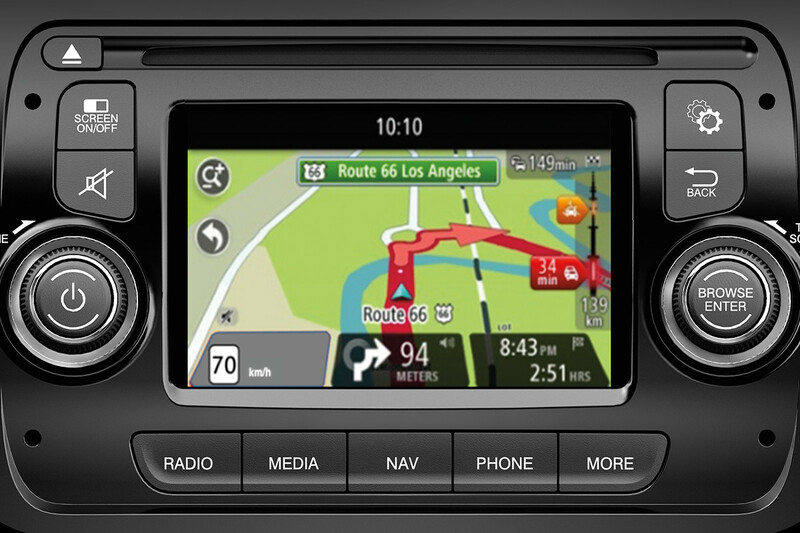 With the available Uconnect® 3 NAV multimedia centre with GPS Navigation, Never program while driving. GPS mapping and available 3D navigation may not be detailed or available in all areas or reflect current road regulations. getting to your next stop without delay is a lot easier because it provides audible turn-by-turn guidance and can be safely controlled using the voice-command feature. 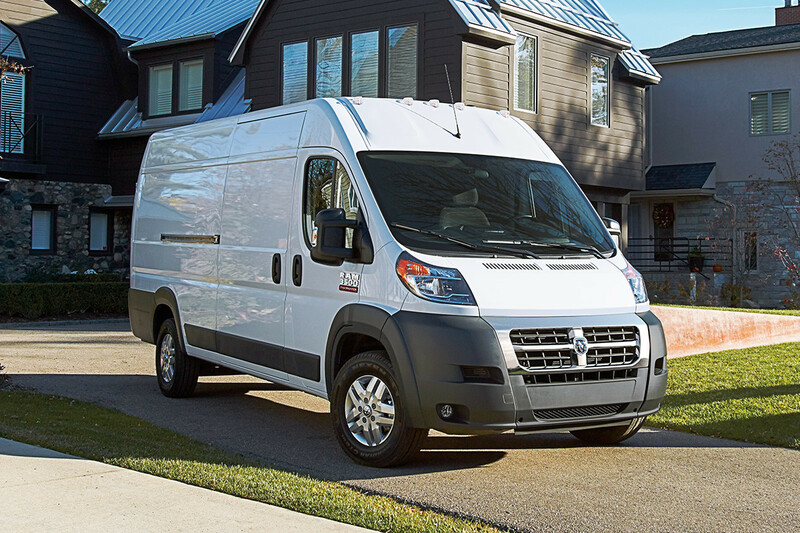 Integrating auxiliary equipment or upfits into your ProMaster's configuration is easy. 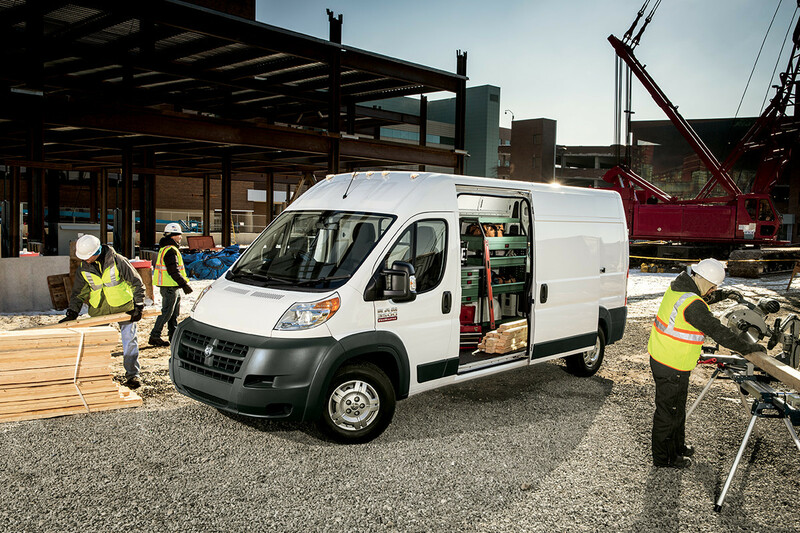 Contributing to its outstanding adaptability, all the Ram ProMaster® models can be equipped with 2 auxiliary switches located in the central switchbank – ready to be assigned to future electrical connections or customer upfits. Black Image for representation only. Not all colours and wheels are available on model displayed. Please see your dealer or visit Build & Price for full option details. Bright Silver Metallic Image for representation only. Not all colours and wheels are available on model displayed. Please see your dealer or visit Build & Price for full option details. Bright White Image for representation only. Not all colours and wheels are available on model displayed. Please see your dealer or visit Build & Price for full option details. Deep Cherry Red Crystal Pearl Image for representation only. Not all colours and wheels are available on model displayed. Please see your dealer or visit Build & Price for full option details. Flame Red Image for representation only. Not all colours and wheels are available on model displayed. Please see your dealer or visit Build & Price for full option details. 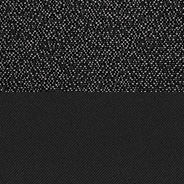 Granite Crystal Metallic Image for representation only. Not all colours and wheels are available on model displayed. Please see your dealer or visit Build & Price for full option details. Sandstone Pearl Image for representation only. Not all colours and wheels are available on model displayed. Please see your dealer or visit Build & Price for full option details. True Blue Pearl Image for representation only. Not all colours and wheels are available on model displayed. Please see your dealer or visit Build & Price for full option details. Broom Yellow Image for representation only. Not all colours and wheels are available on model displayed. Please see your dealer or visit Build & Price for full option details. 16-inch steel Image for representation only. Not all colours and wheels are available on model displayed. Please see your dealer or visit Build & Price for full option details. 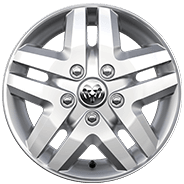 16-inch steel with wheel covers Image for representation only. Not all colours and wheels are available on model displayed. Please see your dealer or visit Build & Price for full option details. 16-inch aluminum Image for representation only. Not all colours and wheels are available on model displayed. Please see your dealer or visit Build & Price for full option details. 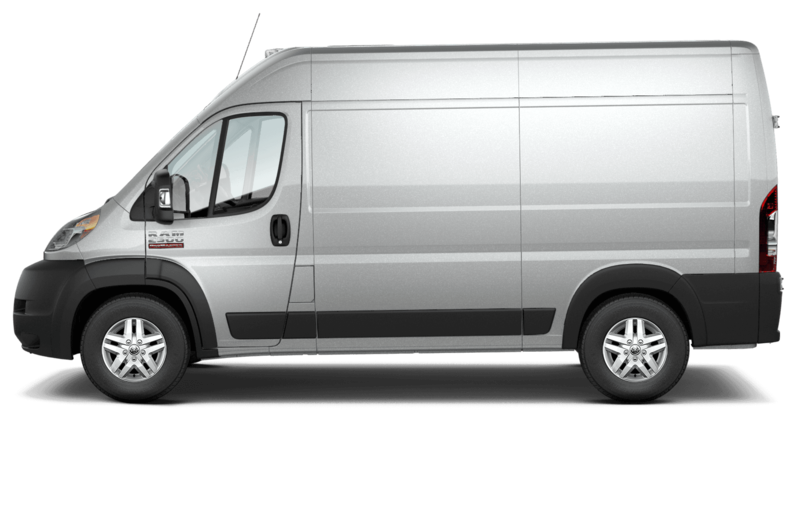 The ProMaster work van's modular 3-piece front fascia is designed to save money. In the event of damage, each individual piece can be serviced on its own - reducing cost and downtime. 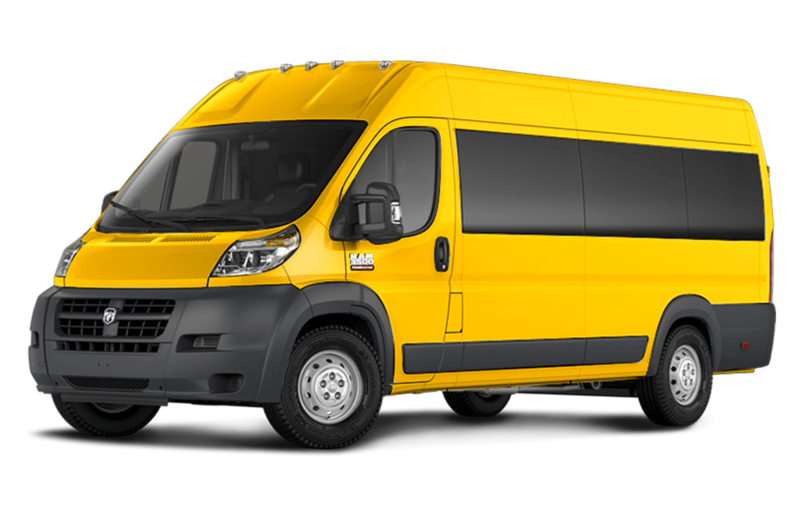 The ProMaster 3500 models are available in the Chassis Cab and Cutaway configurations. 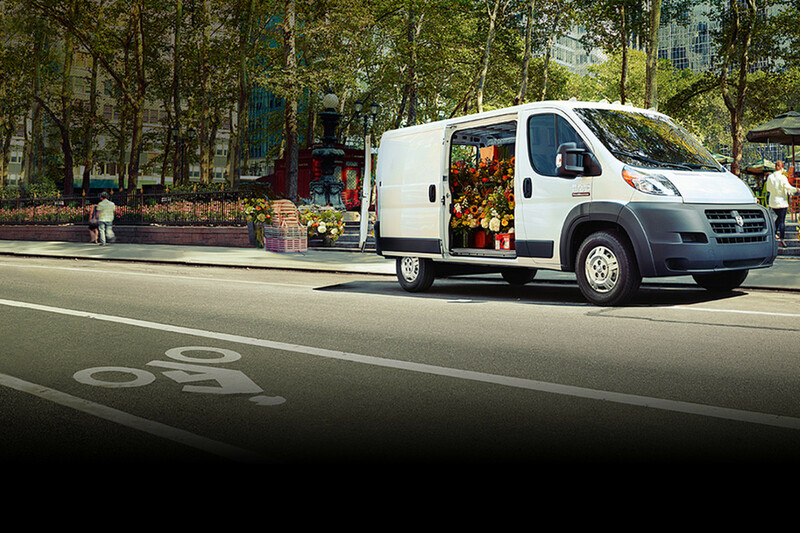 The ProMaster 3500 models are available in the Chassis Cab and Cutaway configurations. They are incredibly adaptable to whatever your business needs and both models benefit from a lightweight but tough unibody architecture. That makes Chassis Cab and Cutaway models ideal for seamless integration with the upfit solution that makes sense for your mobile business. The ProMaster is the product of a design philosophy that considers function first. The windshield is tall and wide for excellent visibility, while the roof-mounted clearance lamps and optional fog lamps enhance the ProMaster work van's visibility to others. Outside rearview mirrors are large for good rearward vision and fold away to prevent damage in tight quarters. Wait until you see it for yourself! 4 body types, customizable and very capable. 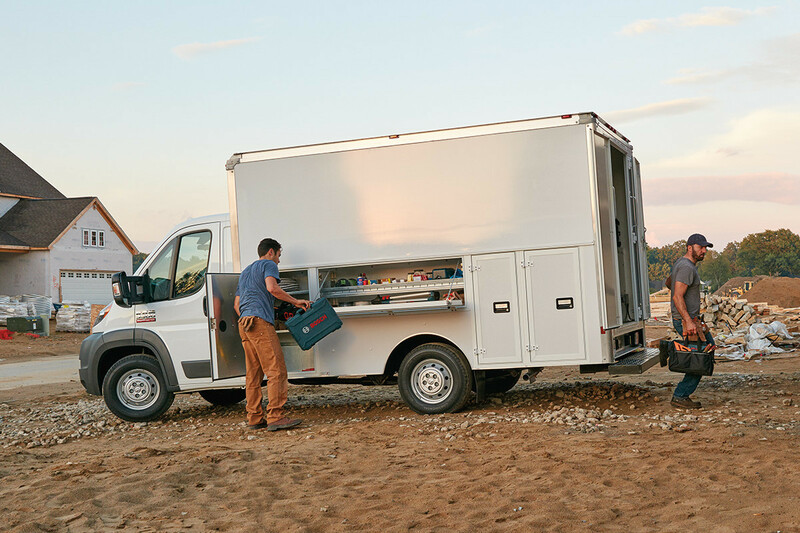 The ProMaster is built to work hard and that means towing and hauling together. 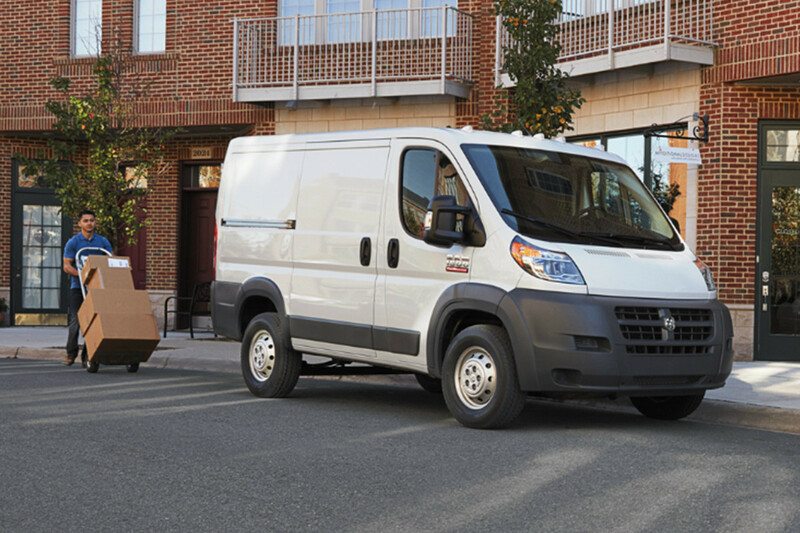 The ProMaster is built to work hard and that means towing and hauling together. Towing and hauling at the same time requires a special capability – and the ProMaster has it. 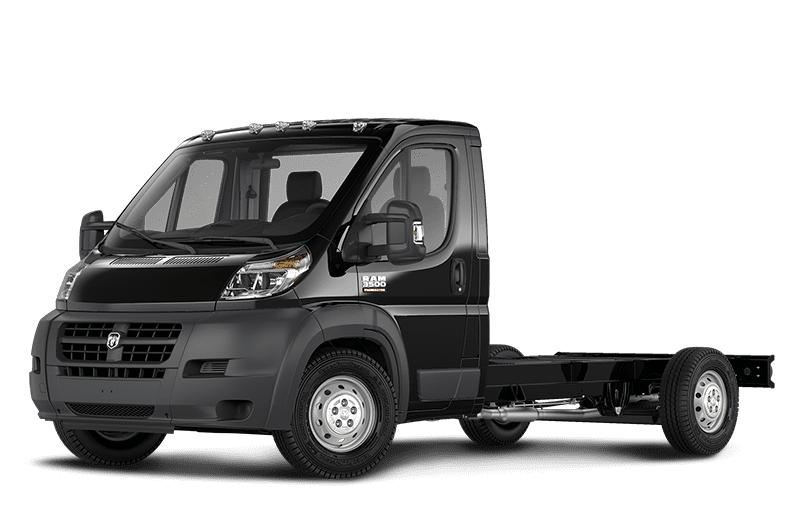 With outstanding payload capacity of up to 5,210 lb (2,363 kg) and an impressive 5,100 lb (2,313 kg) maximum towing capacity - the result is a commercial vehicle that can haul and tow at the same time; with a GCWR of up to 11,500 lb (5,216 kg). Class-Exclusive Front-Wheel Drive Based on WardsAuto Large Van segmentation. 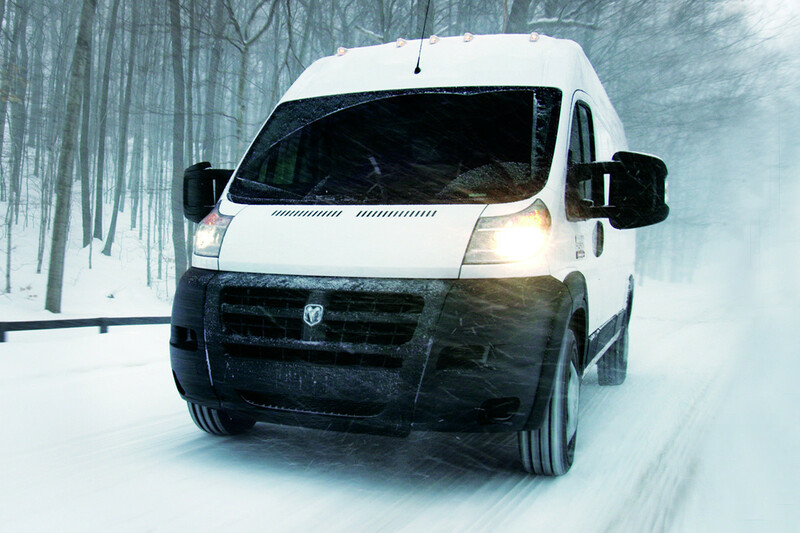 The ProMaster really performs when it comes to the advantages of front-wheel drive. 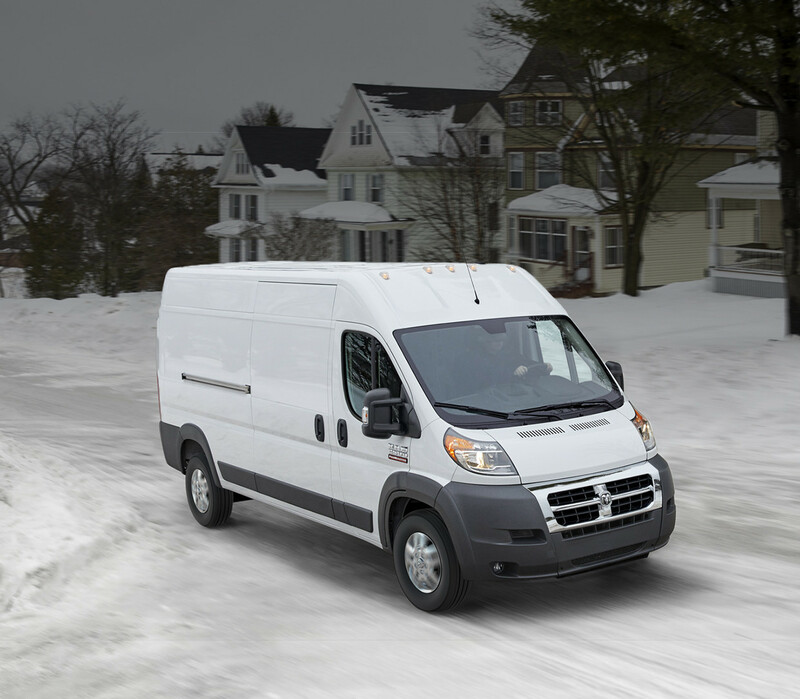 The ProMaster really performs when it comes to the advantages of front-wheel drive. 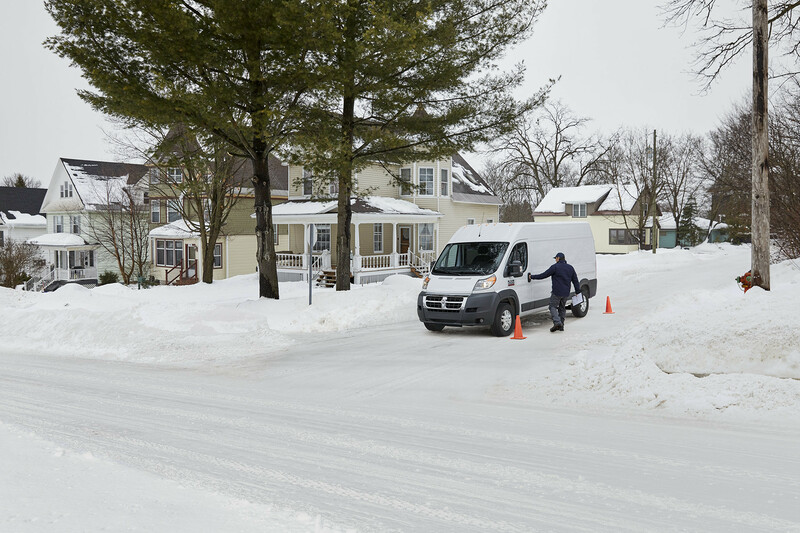 Predictable handling, increased traction in unpredictable weather and, in the ProMaster van's case, Best-in-Class turning radius Based on WardsAuto Large Van segmentation. are just a few advantages. 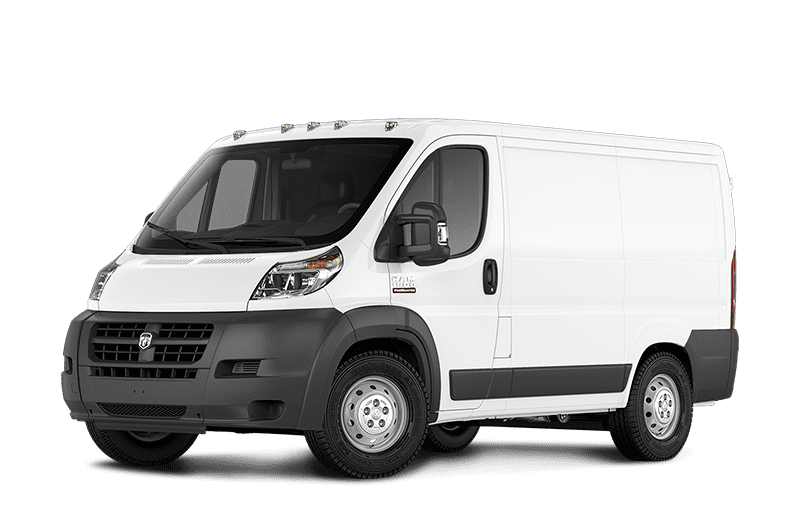 Additionally, it eliminates the need for a drive-shaft and differential - allowing for a more spacious interior, contributing to the ProMaster's Best-in-Class standard cargo capacity Based on WardsAuto Large Van segmentation. and load floor height, Based on WardsAuto Large Van segmentation. as well as a flat, uninterrupted load floor. 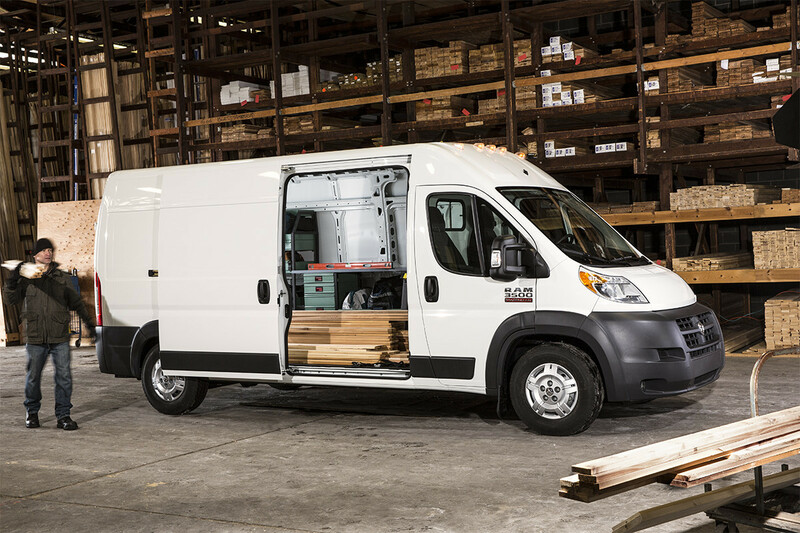 Every detail of the ProMaster is intended to improve capability and your bottom line. 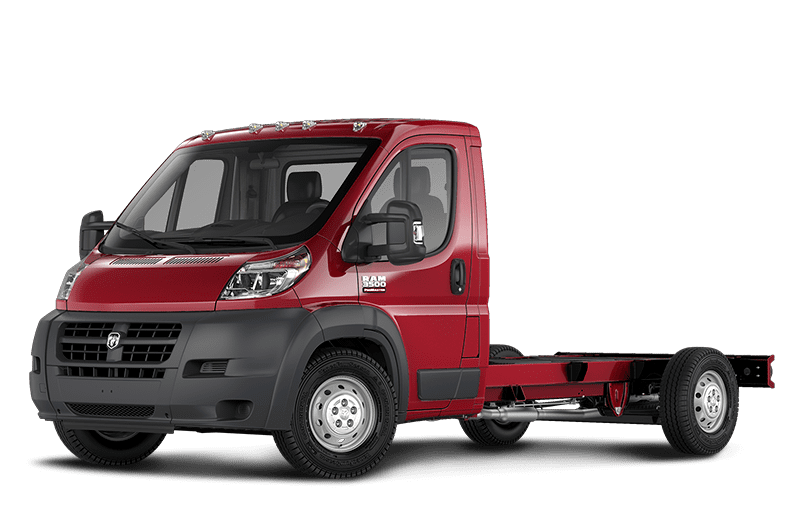 The lightweight chassis helps improve fuel economy, while its cargo versatility and flat-load floor creates more usable space and maximum efficiency. What's more, the steering is calibrated for outstanding manoeuvrability and Best-in-Class turning radius, Based on WardsAuto Large Van segmentation. 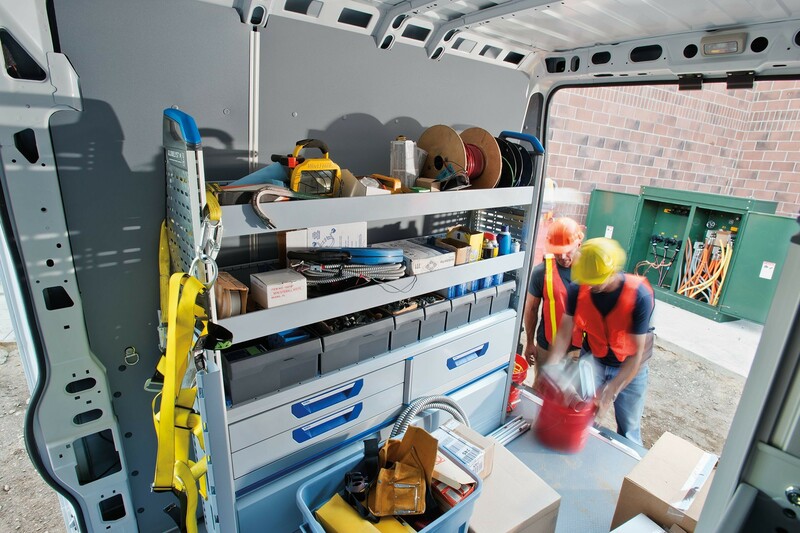 which means the ProMaster can go to work even in tight city spaces. Most mobile businesses need more 12-volt power than the typical vehicle can provide. Most mobile businesses need more 12-volt power than the typical vehicle can provide. 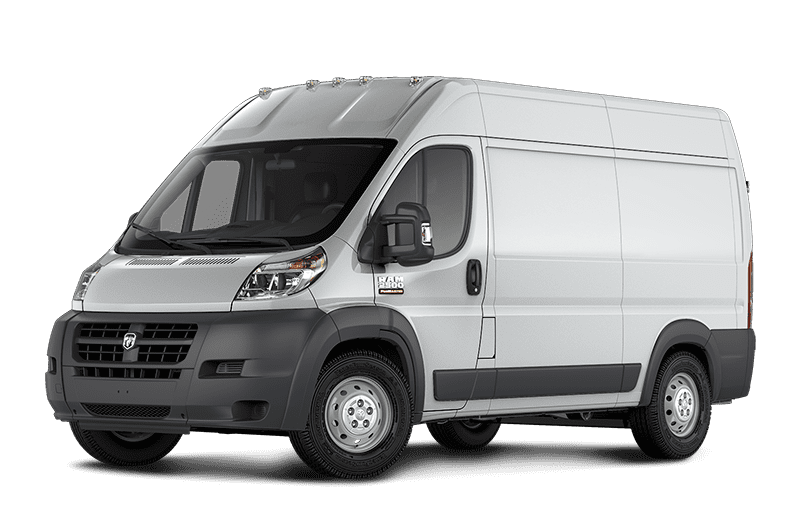 The ProMaster van's 180-amp alternator provides the power to meet the extra demand created by upfits and power tools, or operating a motor home or an emergency vehicle. 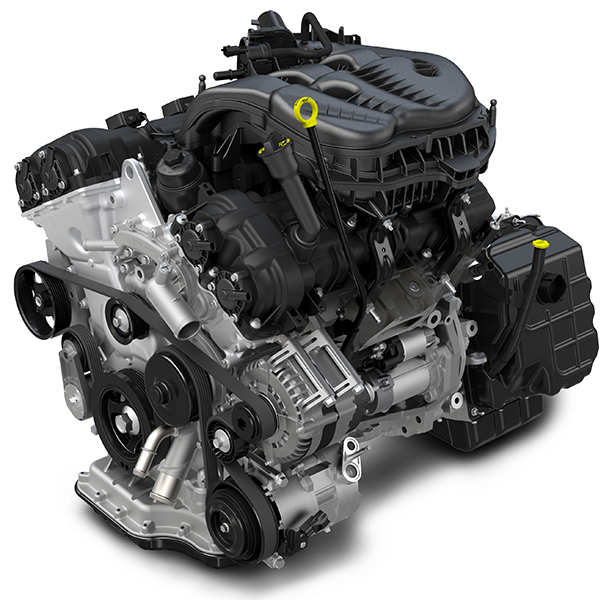 For even more power, the 220-amp alternator is included with Chassis Cab and Cutaway models and is available on Cargo and Window Van models. BEST-IN-CLASS STANDARD CARGO CAPACITY Based on WardsAuto Large Van segmentation. 280 horsepower and 260 lb-ft of torque, with excellent fuel economy and recommended oil change interval up to 16,000 km. Paired with a 6-speed automatic with standard Tow/Haul mode. 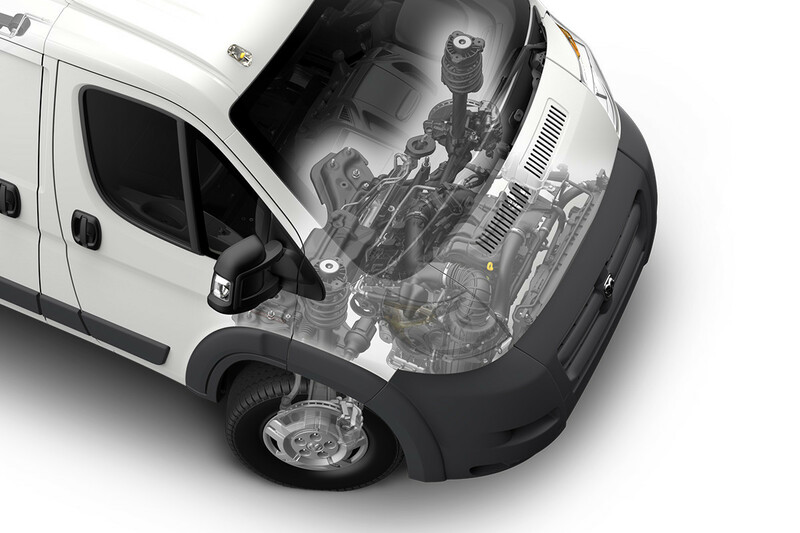 Ram designers engineered the ProMaster with your safety top of mind. 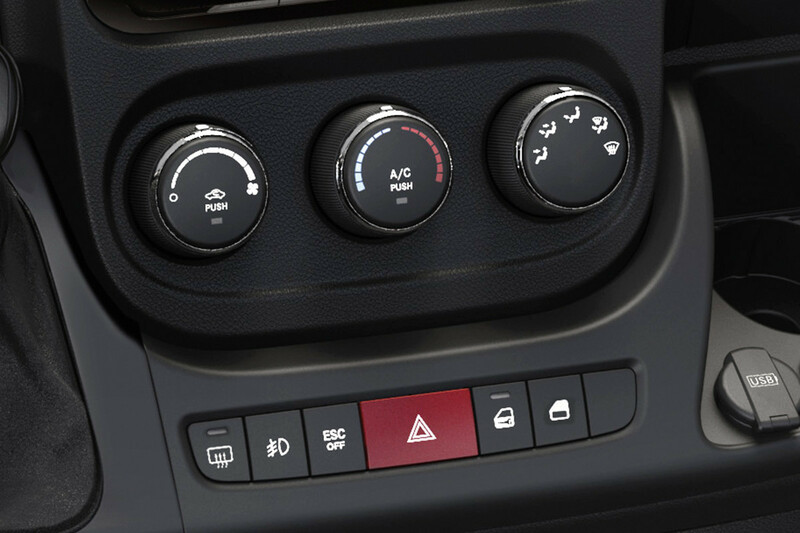 Ram designers engineered the ProMaster with your safety top of mind. 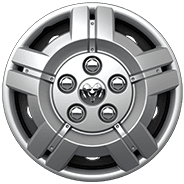 Safety features include 4-wheel antilock disc brakes and air bags The advanced front air bags in this vehicle are certified to the federal regulations for advanced air bags. Children 12 years old and younger should always ride buckled up in a rear seat. Infants in rear-facing child restraints should never ride in the front seat of a vehicle with a passenger front air bag. All occupants should always wear their lap and shoulder belts properly. : advanced multistage driver and front-passenger, supplemental front-seat-mounted side and supplemental side-curtain front. Active safety includes advanced technology like Electronic Stability Control (ESC) No system can repeal the laws of physics or overcome careless driving actions. Performance is limited by available traction, which snow, ice and other conditions can affect. When the warning lamp flashes, the driver needs to use less throttle and adapt speed and driving behaviour to prevailing road conditions. with Hill Start Assist, Brake Assist, Brake-Lock Differential, Trailer Sway Control, Drift Compensation, Electronic Roll Mitigation and All-Speed Traction Control. 2 high-technology ProMaster systems take the unknown factor out of parking. While in Reverse, the standard ParkView® Rear Back-Up Camera, This is a driver convenience system, not a substitute for active driver involvement. The driver must remain aware of their surroundings and be prepared to take corrective action to avoid collisions. 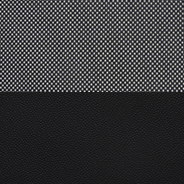 with dynamic grid lines, displays what's behind you on the touchscreen. What's more, when sensors in the front and rear bumpers detect an obstacle, the available Park-Sense® Rear Park Assist system This is a driver convenience system, not a substitute for active driver involvement. The driver must remain aware of their surroundings and be prepared to take corrective action to avoid collisions. displays a visual warning on your in-cluster display, and sounds a chime as you get closer to the obstruction. 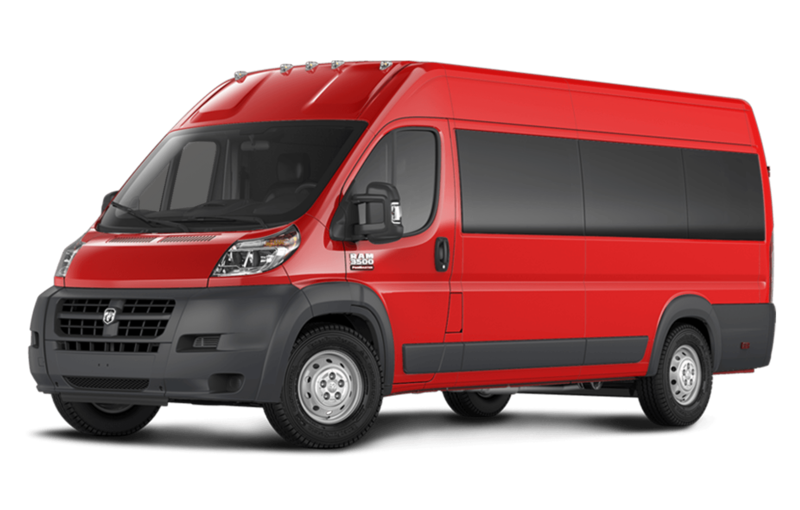 Properly inflated tires are essential to the safe and economical operation of your ProMaster. 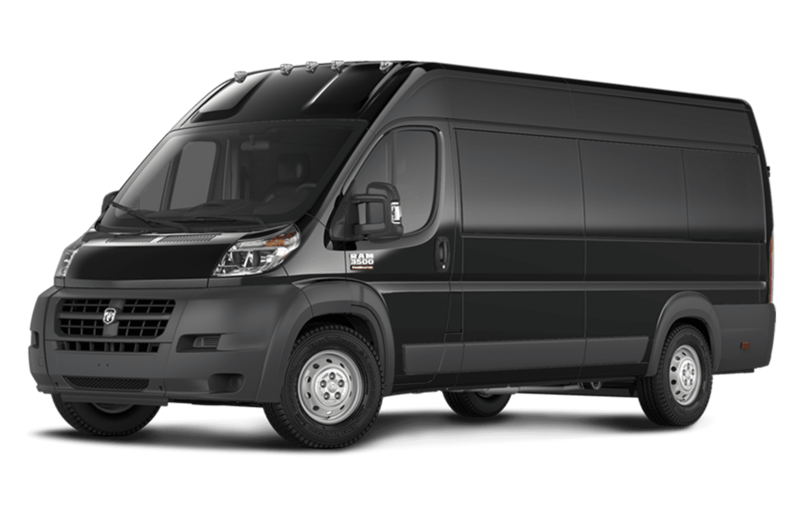 Properly inflated tires are essential to the safe and economical operation of your ProMaster. The problem, however, is that it's not always easy or convenient to check. 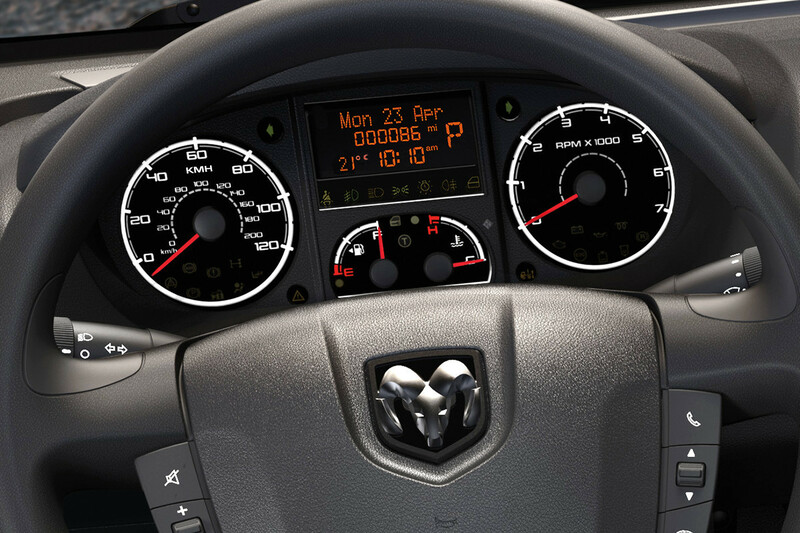 The ProMaster Tire Pressure Monitoring Display makes it easier. When a tire goes below the recommended level, a warning light will appear in the instrument cluster so you can take immediate action. Best-in-Class Standard Interior Ceiling Height Based on WardsAuto Large Van segmentation. 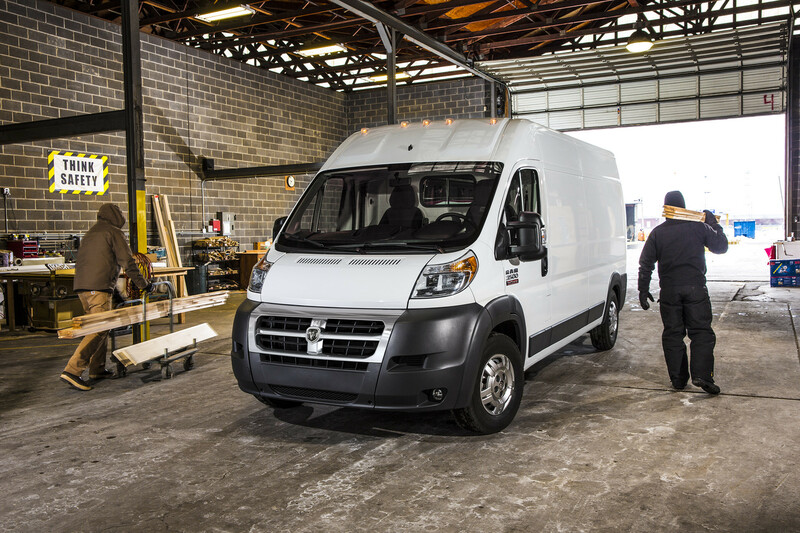 Best-in-Class Cargo Versatility Based on WardsAuto Large Van segmentation. Some conditions may apply. See your retailer for details. 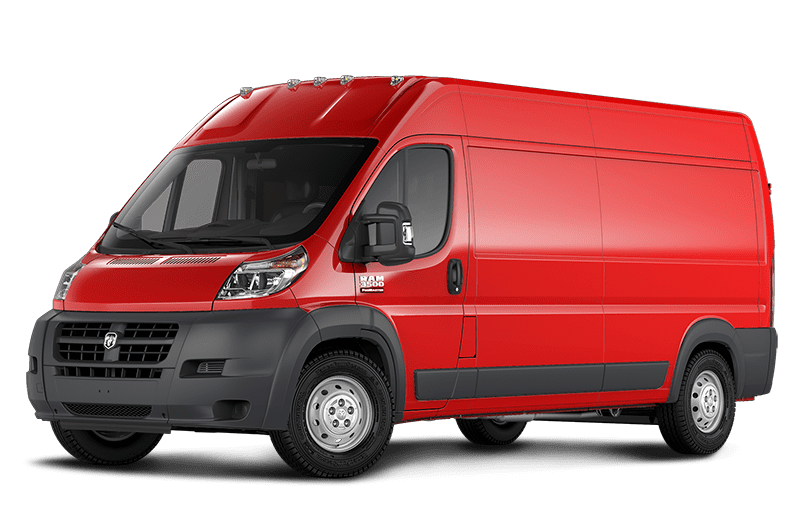 Best-in-Class cargo capacity up to 463 cu ft (13,110 L) Based on WardsAuto Large Van segmentation.